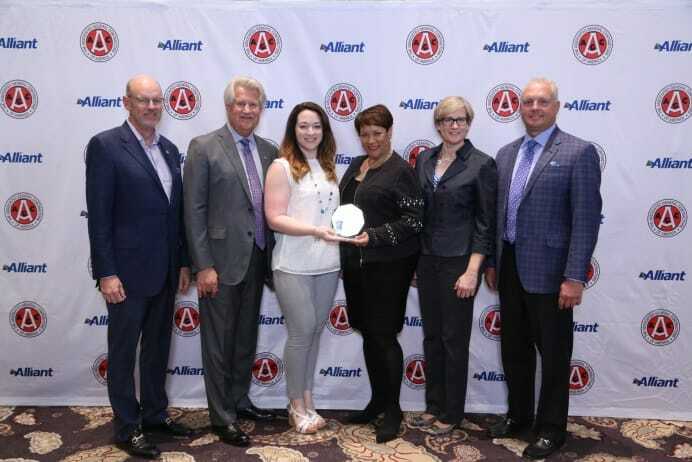 Providence, RI – April 28, 2017 – Gilbane Building Company was recently awarded the Associated General Contractors (AGC) in the Community Award for their partnership with Rebuilding Together. AGC in the Community is an initiative of AGC Charities Inc., designed to showcase the community service projects of AGC of America’s chapters and members. The awards recognize chapter and member service projects that epitomize the essence of charitable giving, through actual hands-on service and donations to charitable organizations. In the last two decades, Gilbane has partnered with Rebuilding Together to refurbish homes and charitable organization offices in communities across the country. In 2016 with more than 85 volunteers, Gilbane employees and their family members, clients and subcontractors from projects countrywide were able to work together to change the communities where we live, work, and play. Gilbane teams in Rhode Island, New York, Houston, Boston, Durham, Chicago and more, donated thousands of dollars in construction materials and countless hours of preparation and volunteering. Gilbane’s one family, one company culture is what underpinned these projects and made them successful. Commitment to family is embedded in Gilbane’s culture and it is not something that is left at the office or on jobsites, but a philosophy that is carried with Gilbane employees in their lives outside of Gilbane. April is National Rebuilding Month and Gilbane volunteers are participating across the country. On Saturday, April 29, Gilbane will work with Rebuilding Together for National Rebuilding Day from Boston to Durham to Chicago to help rebuild homes in the communities where we live and work.